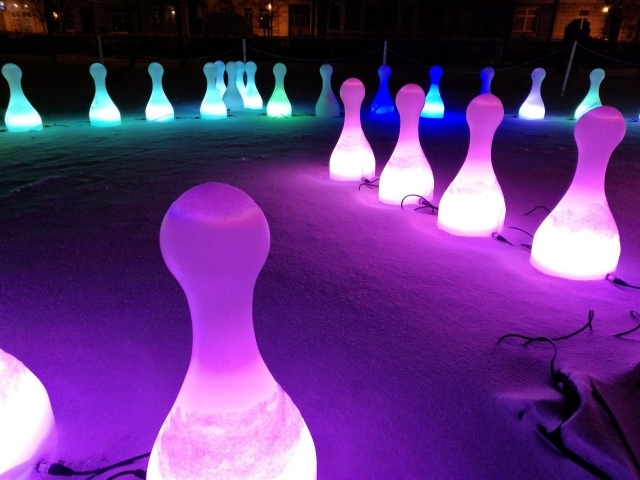 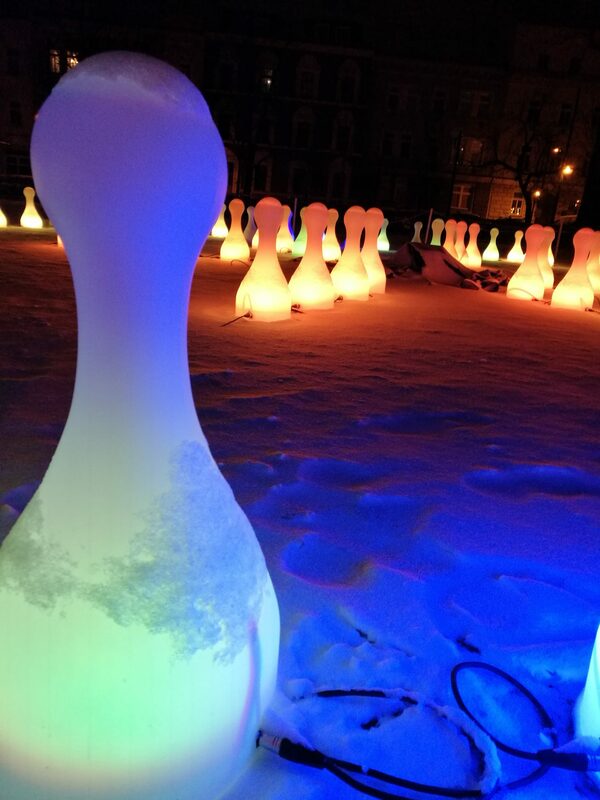 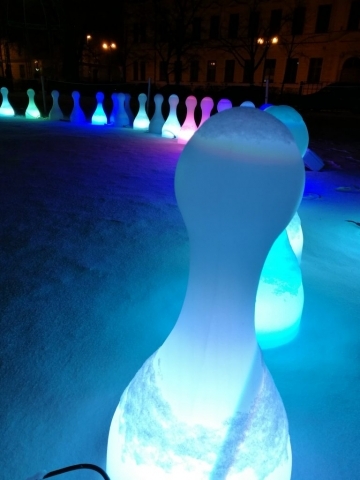 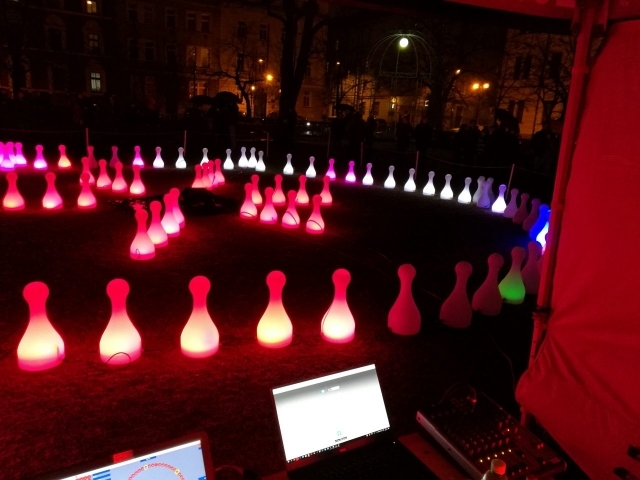 Interactive installation and light show created for the BLIK BLIK 2018 light festival. 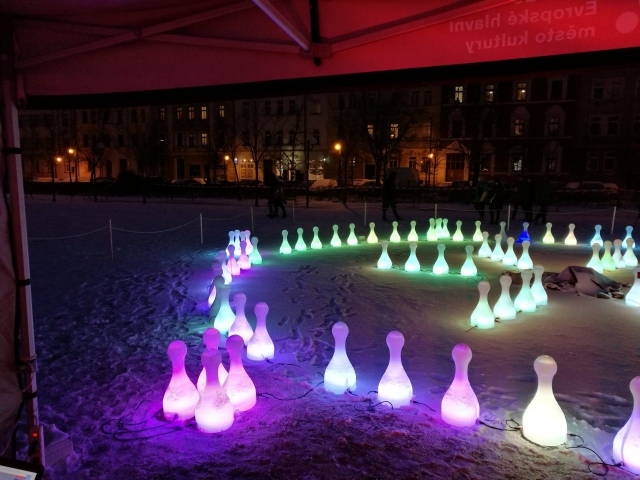 The realization took place in cooperation with Vít Trunec under the FABLAB DEPO2015 (CZ). 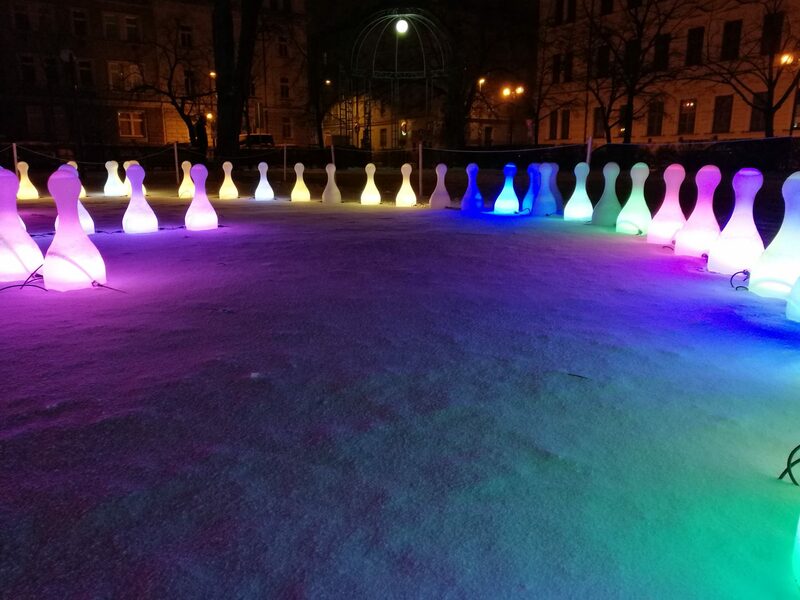 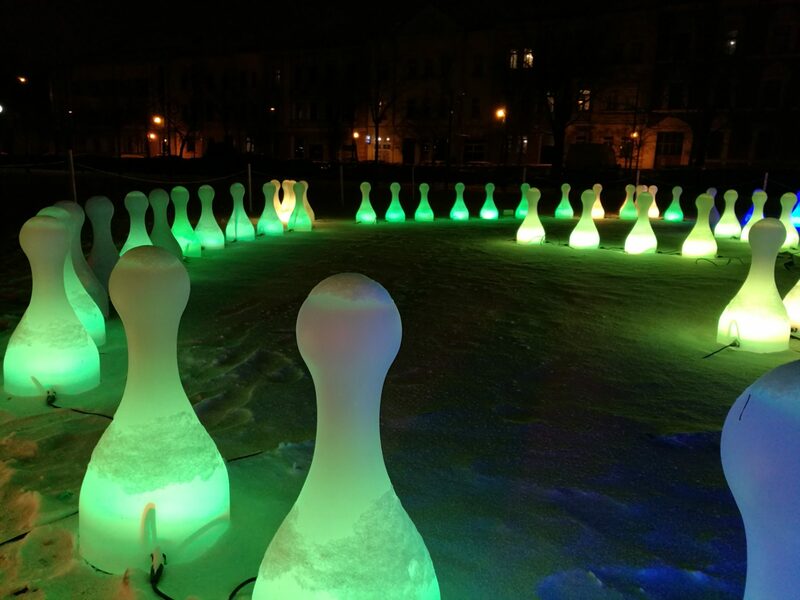 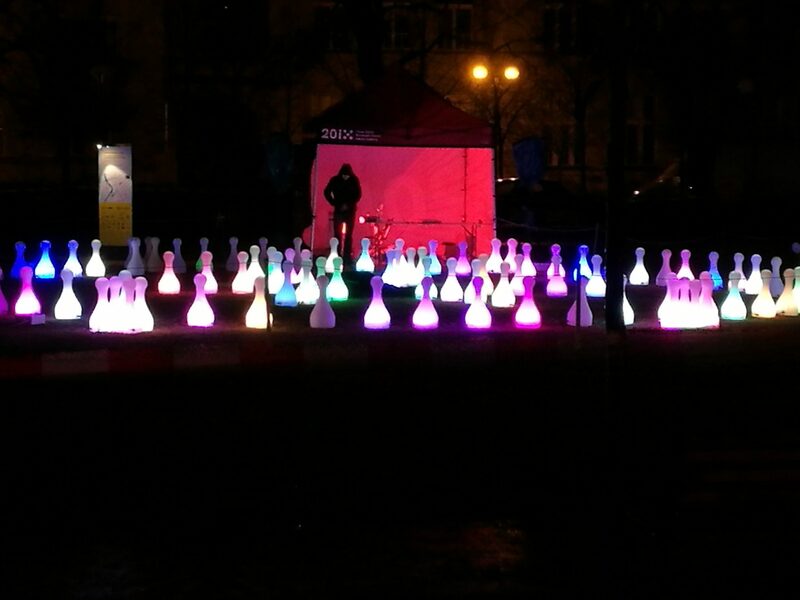 The 108 half a meter tall ludo game pieces created a colorful show on an area of 230 square meters. 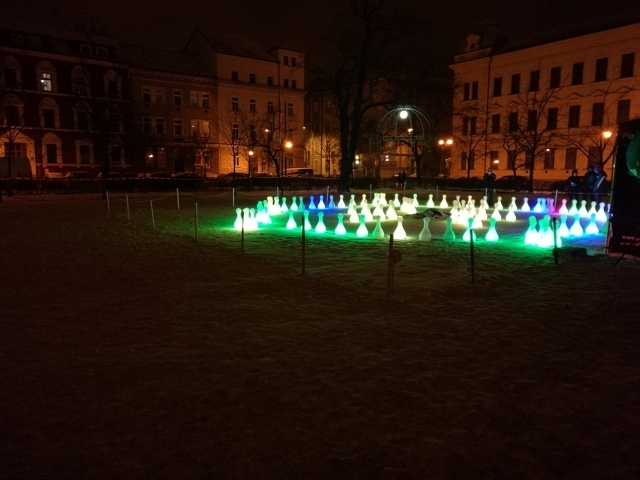 Location: St. Nicholas Square in Pilsen (Mikulášské náměstí v Plzni).